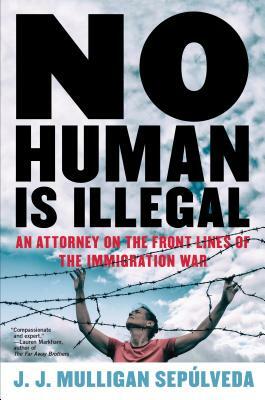 EAST BAY BOOKSELLERS welcomes JJ Mulligan Sepulveda to discuss his new new book No Human Is Illegal, on Thursday, March 21 at 7pm. He will be joined by Lauren Markham. The perfect author on one of today's hottest topics-- an immigration reform lawyer's journalistic memoir of being on the front lines of deportation. J. J. MULLIGAN SEPÚLVEDA is an immigration lawyer working at the Immigration Law Clinic at the University of California Davis School of Law. He is a former Immigrant Justice Corps fellow and Fulbright Scholar. This is his first book.